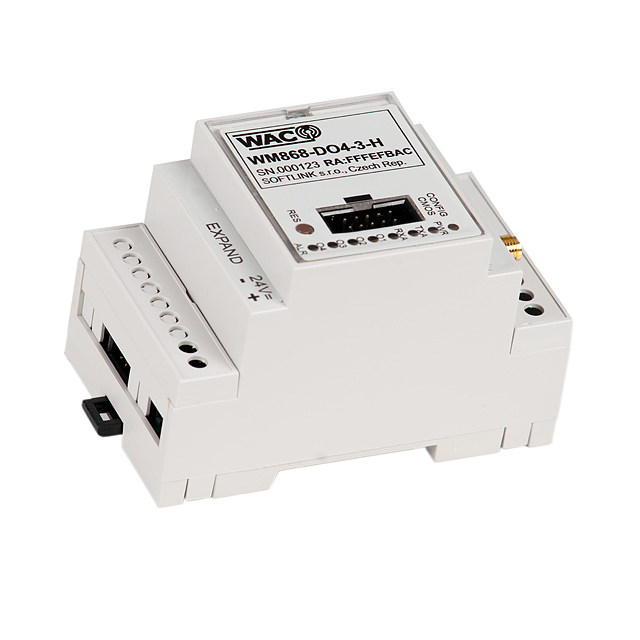 Powerful radio modules WM868 DO4, DIO, DI4 are equipped with four digital inputs or outputs, alternatively can be equipped with combination of 2xDI and 2x DO inputs and outputs. The modules are suitable for regulation and control of various powerful devices such as relays, valves, etc. A NEP protocol is used for communication (developed by SOFTLINK), a ModBUS protocol implementation is under development. Modules can be expanded with I2C collector for further use of switch modules – expanders up to 12 O/I.